The school empowers students to emerge as responsible citizens of the country and thus they are nominated for the Student Council on the basis of their overall performance, attitude and behaviour. 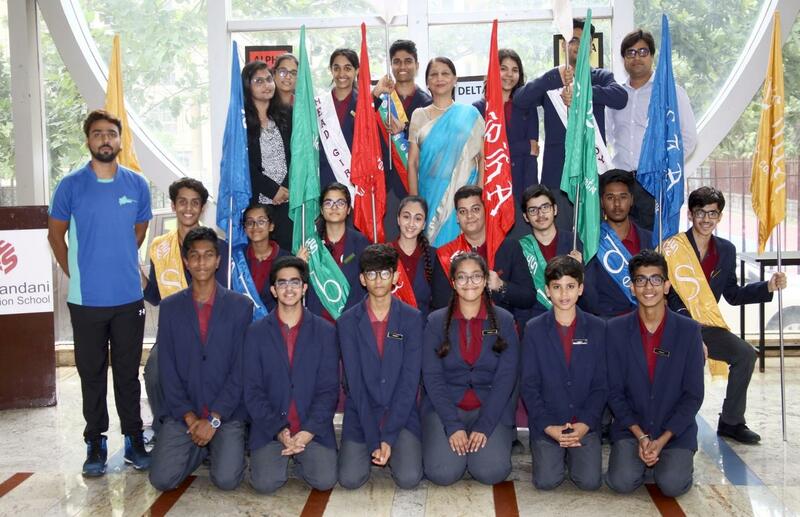 The newly elected student leaders of the Student Council marched forward attired in their school uniform to receive badges of honour from the Principal, Madam Kalyani Patnaik who took over as the Investing Officer. Ms. Kaurvika Kumar and Master Pranav Vinod took up the responsibilities of Sports Captains and pledged loyalty by taking an oath. 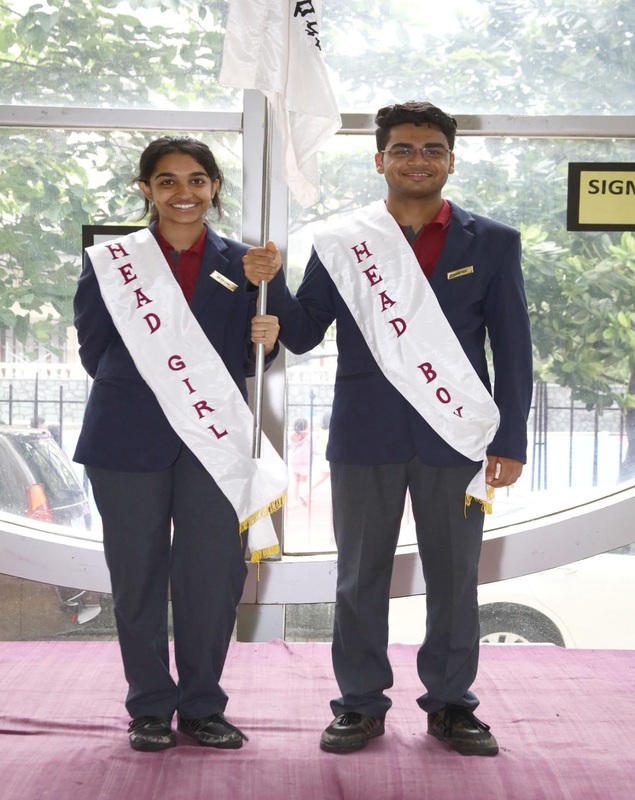 The Head Boy and Head Girl of the school Ms. Malvika Anand and Master Akshay Krishnan pledged to display exemplary mode of conduct and application, remain faithful to their fellow students and remain respectful to the teachers and be loyal to the school. The House Captains and Prefects of the four houses of the school, Alpha, Beta, Delta and Sigma queued up to the beat of the drum to receive sashes and badges from the Principal. They were followed by the MUN Prefect and E Magazine Editor taking up oaths to perform their duties judiciously. The programme concluded with a speech by the Principal who urged the students to emulate leaders around the world and imbibe leadership qualities in themselves. She opined that the responsibilities undertaken in the present will enable them take decisions in the latter part of their life with confidence. The glorious occasion of bestowing power to student delegates came to an end with everyone singing the national anthem. This year the HFS International Student Body Council shall Executive new and innovative programs like Green Warriors and Creating Aesthetic Leadership along with their other general duties.